Driving under the influence may sound harmless when you are on your way back from a party or a bar, but it could lead to severe consequences. Thousands of drivers get their licenses suspended as a DUI penalty Winnipeg. It could not just blemish your driving record but also land you in trouble with the authorities. The good news is, with the help of an accomplished DUI lawyer Winnipeg, you can avoid going to jail and even keep your driver’s license despite having blown over the legal limit. But there’s some bad news too; as DUI law is complex it is not easy to tell if you have a feasible defense. 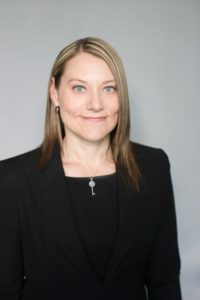 With Gerri Wiebe, an accomplished DUI lawyer Winnipeg with over 15 of experience under her belt, you can augment your case and even walk away from the case with an unblemished record. Her exceptional legal knowledge and experience working with DUI cases combined with her passion to defend her clients makes her one of the finest defense attorneys in the country. If you or anyone you know is facing DUI penalty Winnipeg, Gerri Wiebe is the best DUI lawyer Winnipeg has right now. Call +1(204) 799-5956 now to book a free consultation session!